Shandong Ruishi Abrasive Co., Ltd. is located in Zibo City famous for the beautiful scenery with superior location and convenient transportation near Jinan International Airport, close to Qingdao sea port. 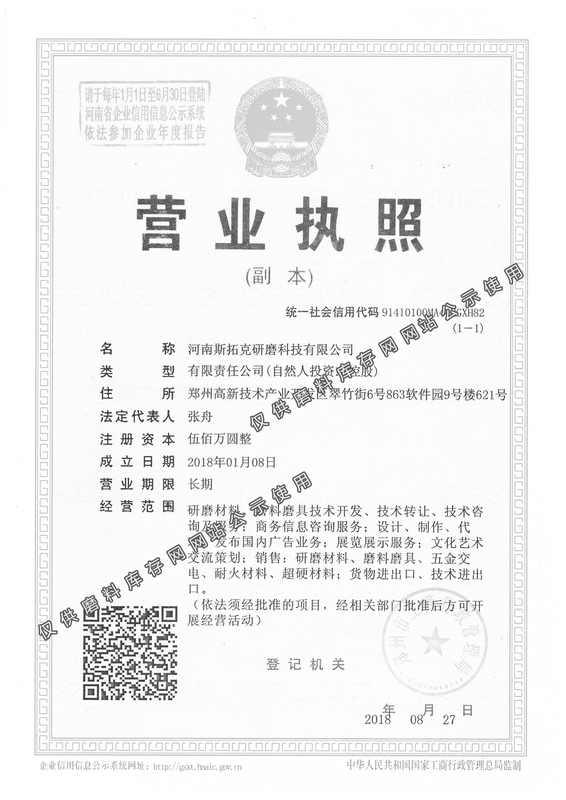 The company own 50 million yuan in fixed assets, an area of ​​20,000 square meters, 210 members of staff, distributed in 22 engineering and technical personnel, management personnel, continuing to improve extensive management experience and advanced production technology, product innovation, quality. 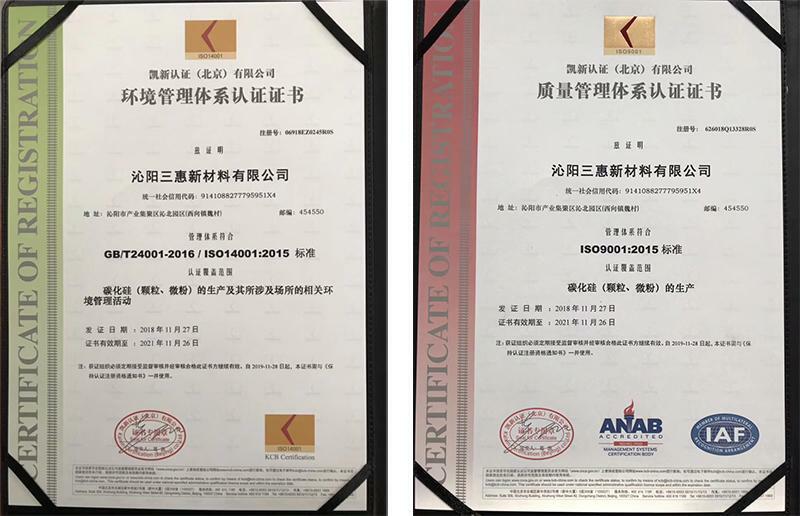 All technical indicators of various abrasives and refractories comply with international standards. 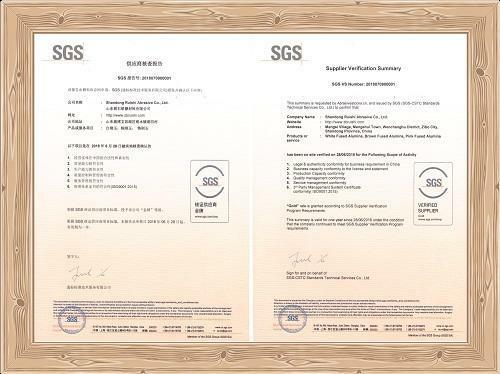 All products have the IS09001: 2000 quality system certification, and have exported to different countries around the world. Customized requirements could be met such as particle size, physical and chemical indicators. Quality is our culture and we put our buisness reputation at the first reputation all the time. We will continually provide excellent services to to satisfy clients’ requirement. Welcome to visit us in Zibo, China. Qingyang Sanhui New Materials Co.,Ltd. is located in qinyang city, henan province, close to changji highway, lianhuo highway, convenient transportation.Founded in 2005, the company is a professional production enterprise of black silicon carbide abrasive and products. Qingyang Sanhui New Materials Co.,Ltd. have strong technical force and advanced production technology, perfect management system, strict testing methods, quality assurance system and excellent product quality. The company specializes in the production of high-grade black silicon carbide abrasive, the annual production of 8000 tons of high-grade black silicon carbide particle size sand and micro powder, the product has the characteristics of high cleanliness, high bulk density and high content. Main silicon carbide, silicon carbide powder, silicon carbide P sand, silicon carbide P powder, silicon carbide particle size sand and other products. ★Abrasivestocks.com and Japan grinding Technology exhibition organizers is going to cooperate, both sides launche into deep discussion for the futuer exhibition organized in China or Japan and other diverse cooperation. ★Abrasivestocks.com has reached cooperation intention with famous enterprises located in Osaka ,which specialize in abrasive tools. Both sides will sign a framework agreement in this tour to Japan about the future cooperation.